Ok, not really. 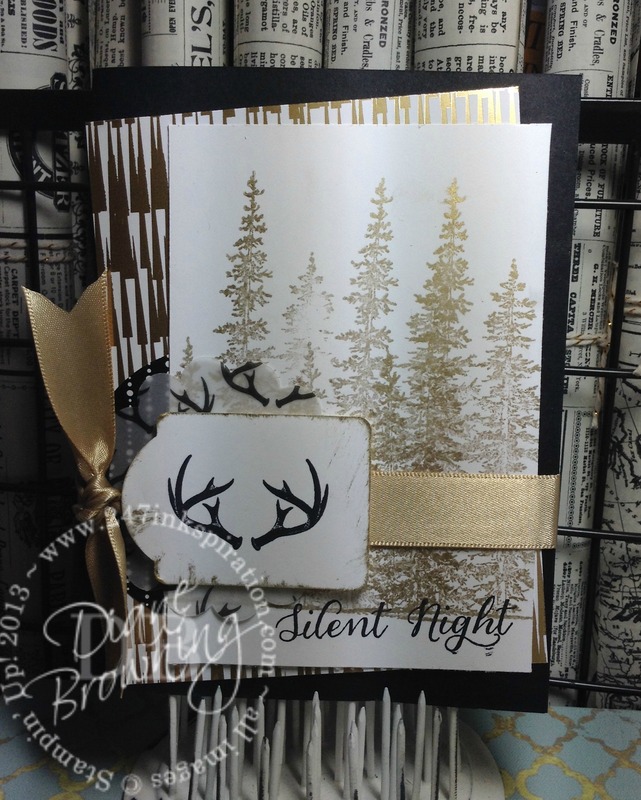 But, when I first saw the black and gold Winter Wonderland Designer Series Paper in the Holiday Mini, I thought this is too weird. Black For Christmas? Seriously, who does black for Christmas? 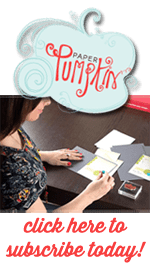 Stampin Up has lost their minds! Who is going to buy BLACK Christmas paper? Good luck selling any of that stuff. 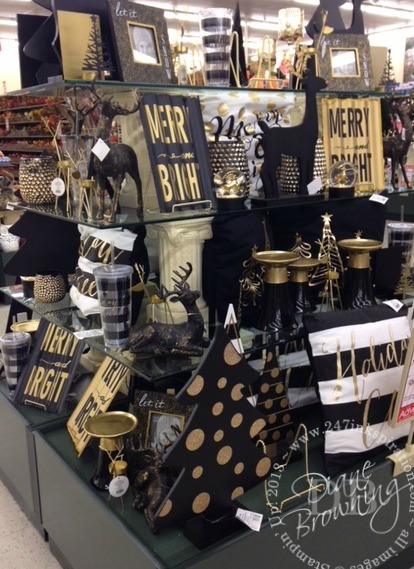 Yep, you guessed it: black and gold Christmas decorations. Sigh. I must be getting old because I still don’t understand the black thing. I know black is supposed to be slimming, but I had no idea that Christmas trees were worried about their roundness. In fact, I kind of thought, the rounder the better. Anyway, I did buy a package of the paper because I couldn’t resist the fabulousness of the gold foil paper. And then of course, I had to get a package of the Winter Wonderland Designer Vellum Pack because it coordinates. And it’s cute. And it’s small (6×6). And who can resist cute and small? If you’re a crafter, you get this. If it comes in a miniature version, we have to buy it. It’s required. Here is my homage to a black Christmas. Not too bad although I don’t think I’m a convert to a black Christmas Fan Club. I won’t be redoing my tree in black ribbon and antlers. But, I have to admit the black and the gold together really do create quite an elegant look. And that gold satin ribbon – Oh Emm Gee! I love it! It is so soft! The gold color is really rich and not at all yellowy. The more I use this Wonderland stamp set, the more I like it. I had to get the set for the trees. The tree stamp is very forgiving and it’s easy to layer several trees on top of each other to give you that forest feeling. I liked the antlers too – very masculine – but I wasn’t sure how I was going to find a use for the antlers but I did! Don’t forget that the Holiday Mini Catalog is ending January 4th. Even if you’ve already made your Christmas cards this year, it’s not too soon to start thinking about next year. Check back here very soon… I will be announcing my very first ever Stamp Class In the Mail! Yay!